Surface Mount version of EXBLADE for areas without ceiling space. Offers our Easy-Connect installation. For some businesses, ceiling space can be scarce. And in these situations you don’t want your emergency exit lights leaving little room for general lighting. Fortunately, EXBLADESM is a surface mount LED exit light purpose-built for situations without ceiling space. Simply suspend EXBLADESM using chain or rod in areas other exits cannot access, and wire it easily through the large terminal block. 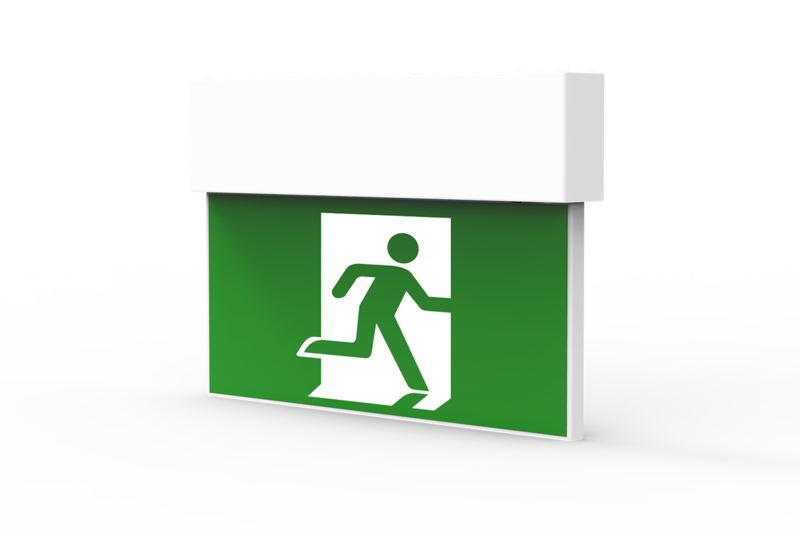 To get the best value for your business, combine it with multi-purpose emergency lighting products such as EXLED and EMLITE.